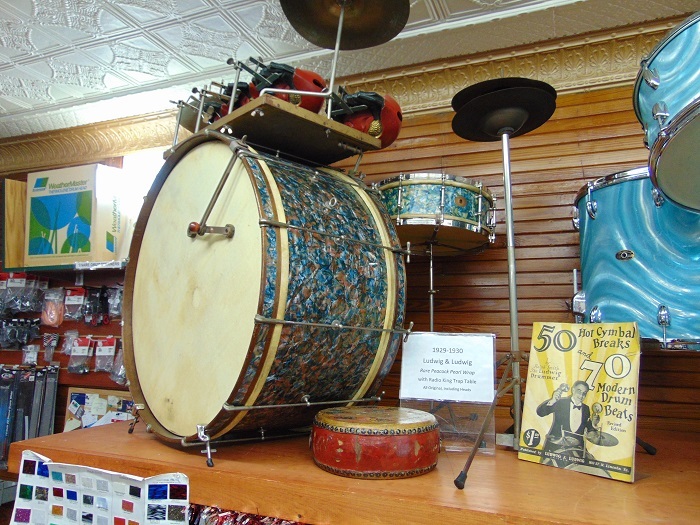 The Village Drum & Music is a family owned, full service drum shop located in North Scituate, Rhode Island and has been serving the New England drumming community since September 2009. 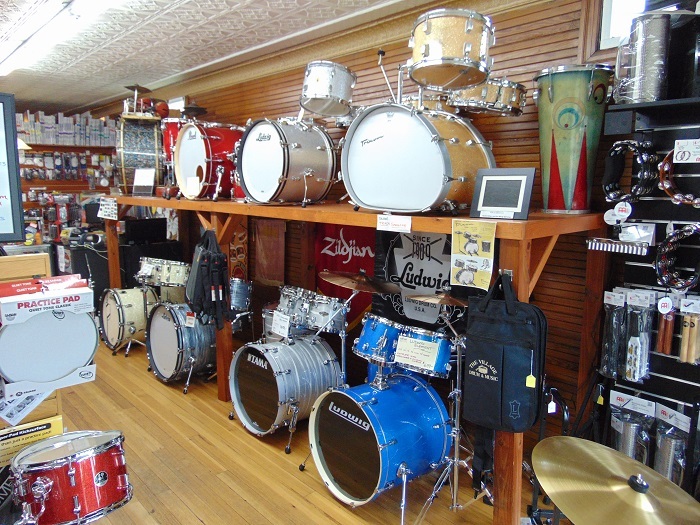 We specialize in new, used, and vintage drums, cymbals, percussion instruments, and parts. Our shop offers full restoration services including re-wraps, bearing edge leveling, and cutting. See our restoration page for details. 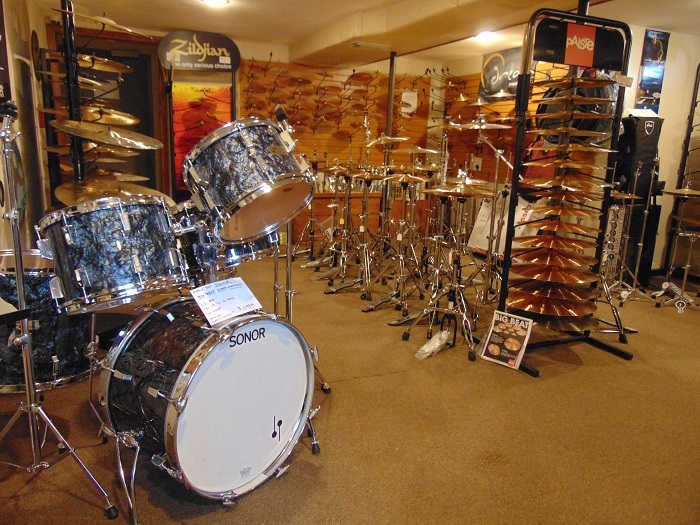 We also buy used drums, hardware, cymbals and parts. Give us a call if you have instruments or equipment to sell. 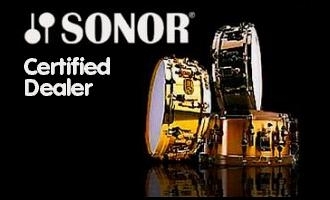 We purchase single drums or complete kits. Schools & Colleges – We buy large lots of marching drums, concert drums, and mallet instruments. Sell or trade them in towards new gear. 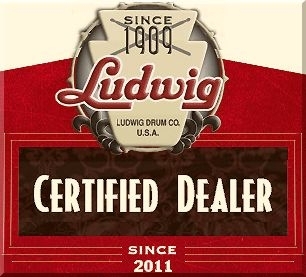 We especially like American drums and parts (Ludwig, WFL, Leedy, Rogers, Slingerland, Gretsch, Camco, Kent, Fibes, Walberg & Auge) and import companies such as Yamaha, Sonor, Premier, Tama, and Trixon. New, Used, and Vintage drums. Drum, guitar, and ukulele lessons are available. For more information click on the lessons page. 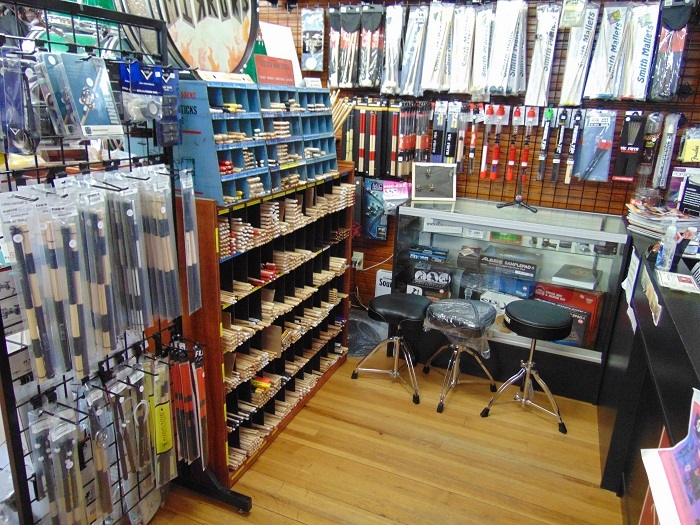 Besides drums, we carry guitar strings, accessories, cables, and Kala ukuleles. We are also a dealer for Yamaha & Alesis electronic drums and Alto PA speakers. Browse our website to view the various products and services we offer. Give us a call or email at anthonydefusco@cox.net and we’ll be happy to answer your questions. 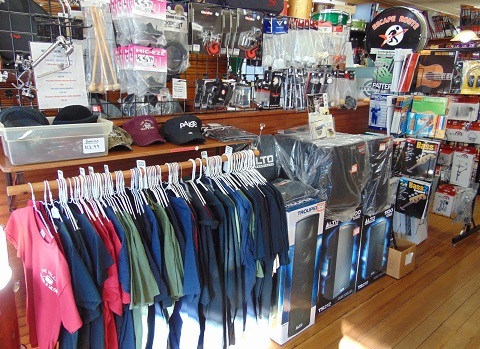 We are proud to offer quality merchandise at excellent prices and believe in pleasant and professional service. Visa, Mastercard, American Express, Discover Card and Paypal are accepted. We ship worldwide. Layaway and gift certificates are also available for your convenience. You can purchase gift certificates online by selecting the amount on the link below. Online orders are mailed within 48 hours of purchase. Two floors full of percussion!